The W&H air motors are characterized by high motor power and a long lifespan. Power can be controlled smoothly in both forward and reverse drive. They are very quiet and light to use. 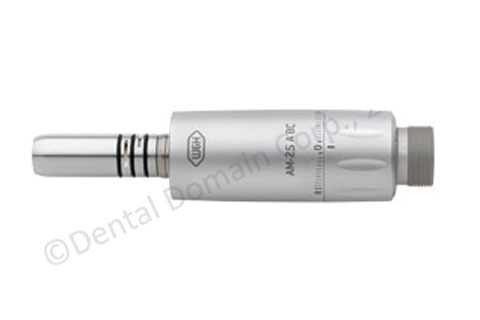 The air motors are suitable for all straight and contra-angle handpieces and are available with or without light.